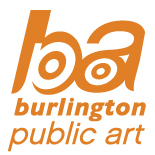 The City of Burlington public art program invites professional artists and artist teams to submit proposals for temporary art installations that will be unveiled as part of the City of Burlington’s Culture Days event (September 27 – 29, 2019). Seven installations or performances will be exhibited for a one-month period running from September 27 – October 25, 2019 at various locations throughout the city. Of particular interest are projects that connect residents and visitors to the buildings, natural landscape, community and/or history of the identified sites. Artists working in all media are welcome to submit a proposal, including visual art, sculpture, sound, projection, light, performance art, etc. The concept for the Public Art Lab was developed as part of an artist residency conducted by Lisa Hirmer in 2017 (https://www.dodolab.ca/). Hirmer’s residency focused on furthering the development of ‘cultural nodes’, as identified in Burlington’s Cultural Action Plan (2012). The Plan noted that many of Burlington’s cultural services are ‘located in stand alone facilities dispersed throughout the community with little collective visibility’ and that the establishment of cultural nodes could help to connect residents and artists to cultural opportunities happening throughout the city. Working with Arts and Culture staff, Hirmer was selected to conduct a 6-month artist residency. In addition to attending planning meetings and consulting with key stakeholders, Hirmer created a series of temporary public art interventions to engage, interact and learn from the community. This included the first iteration of the Public Art Lab in which six local artists were invited to create small-scale temporary artworks / interventions at Central Library. By commissioning new, site-specific work, the Public Art Lab will endeavor to advance the above-mentioned recommendations.